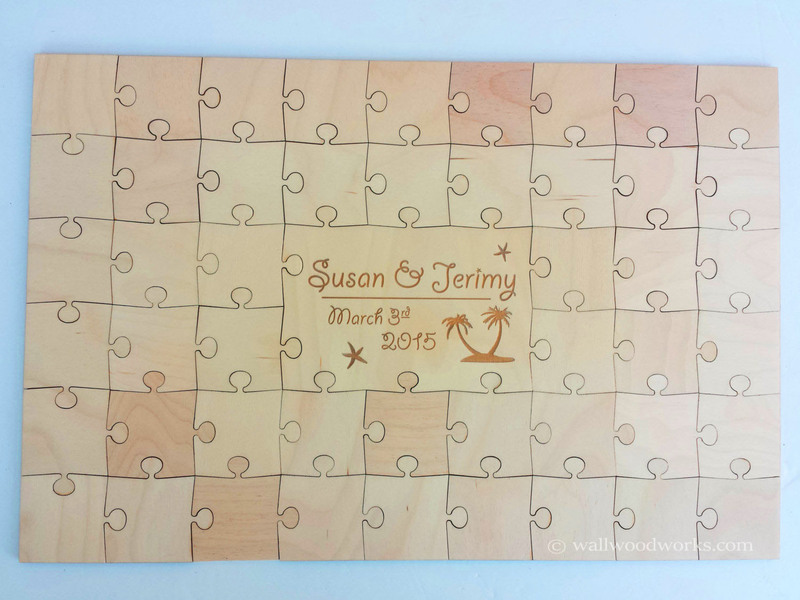 Your mixed grain laser cut and engraved anniversary guest book puzzle will be made from 1/8 (3mm) Baltic Birch. 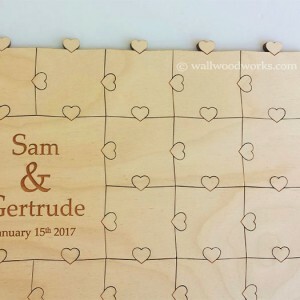 Each puzzle pieces’ size is 2.5” x 2.5” square with either heart shaped or classic round puzzle connectors. 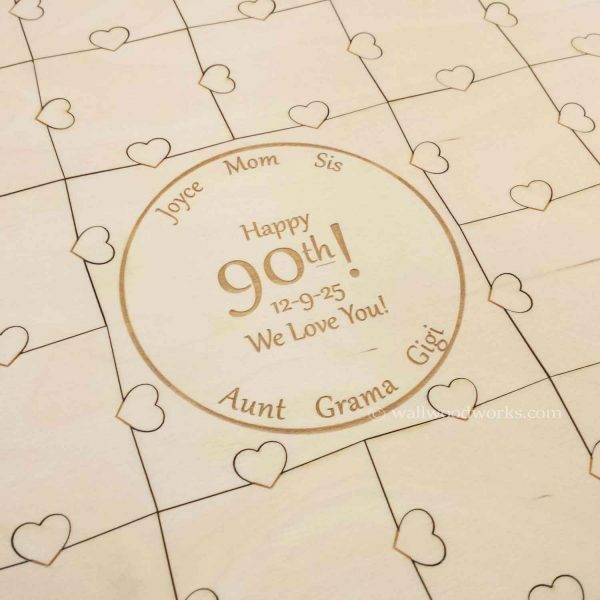 The puzzle size varies based upon your selected piece count. 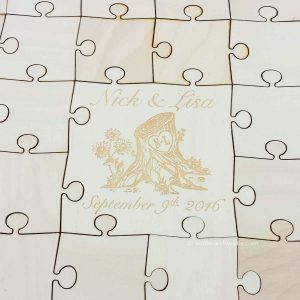 Piece Count – Choose between 12-382 pieces. 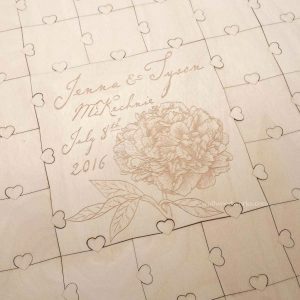 Larger sized engraved anniversary guest book puzzles are available. 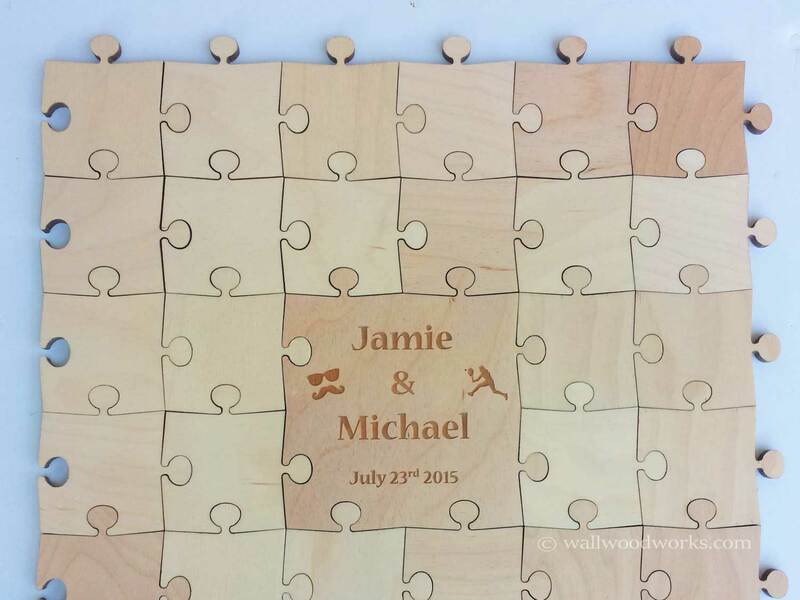 Style – This is the very outside edge style of the engraved anniversary guest book puzzle when it is put together. 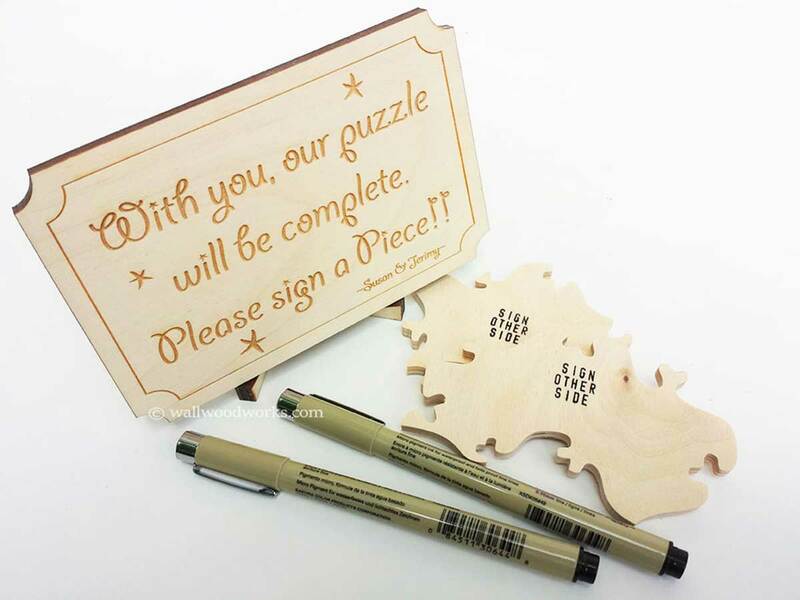 Pens – The first pen is free and included with the anniversary guest book puzzle. 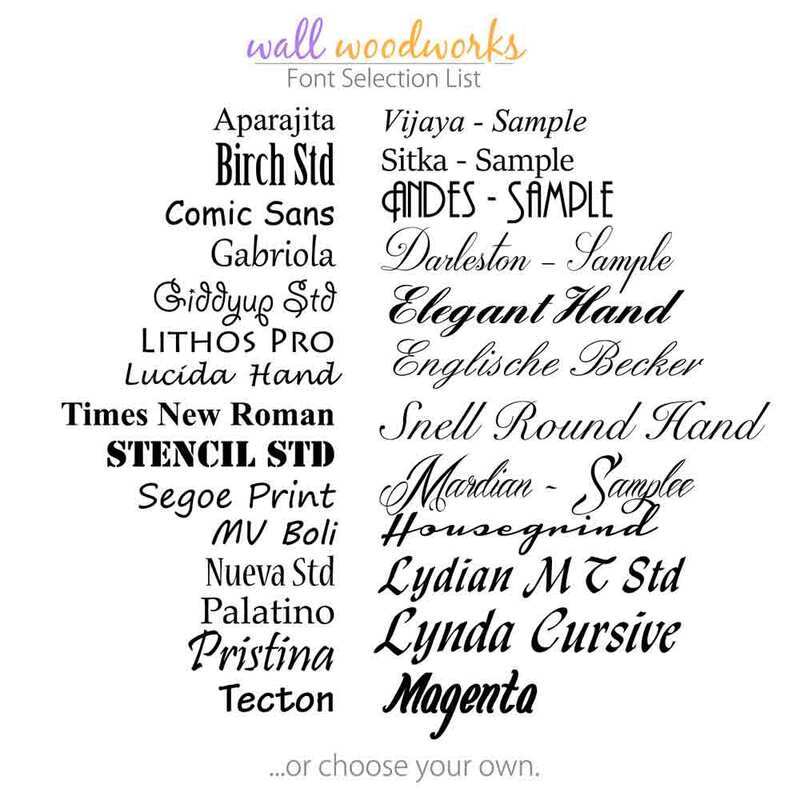 We only stock black pens. 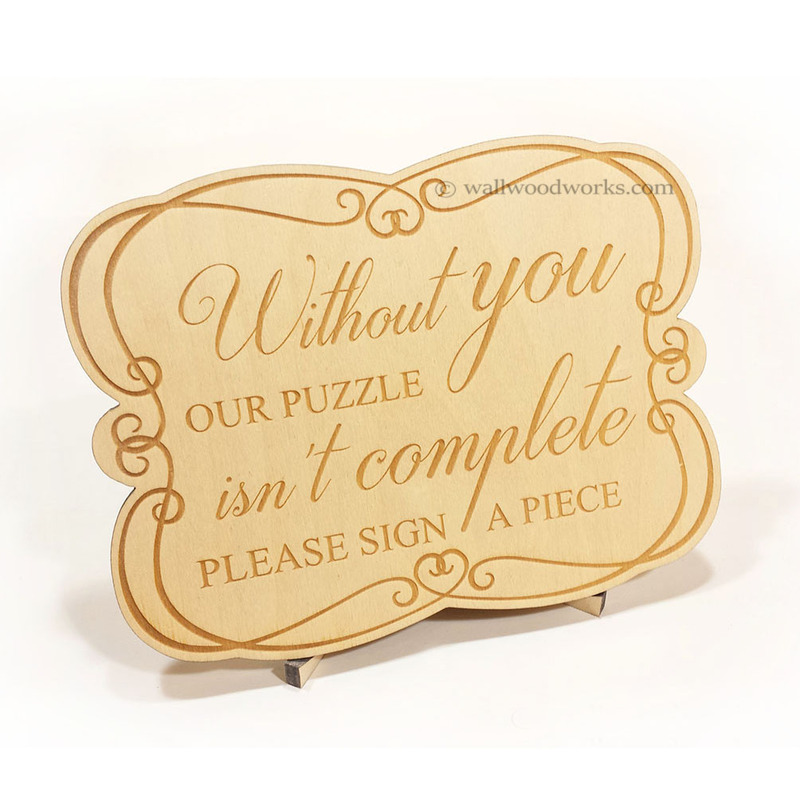 Signs – A square sign is included at no extra charge with your anniversary guest book. 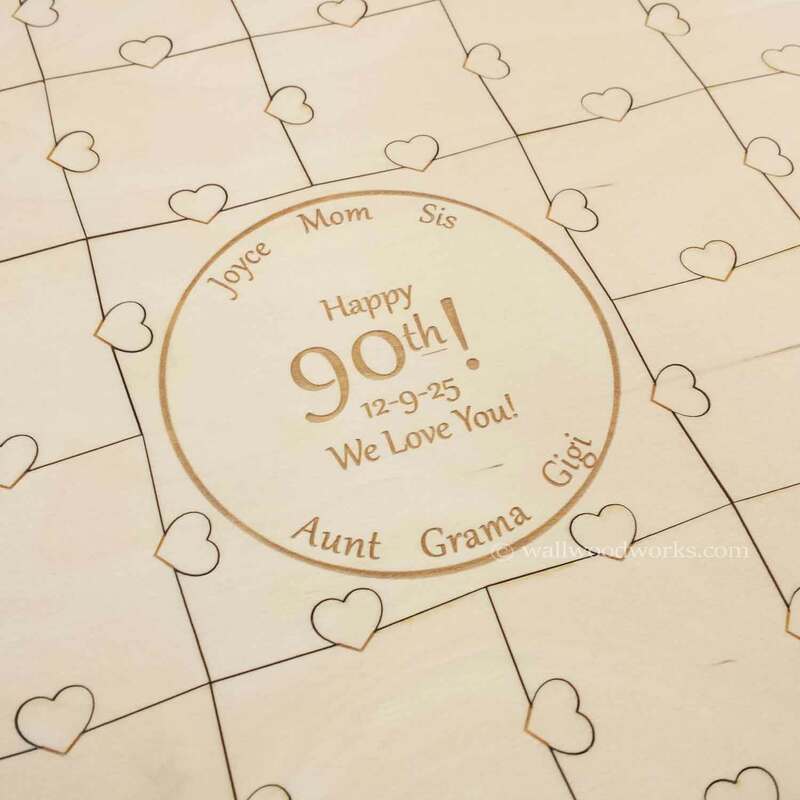 If you would like to upgrade to the premium styled sign you may also have your two names engraved on that sign. 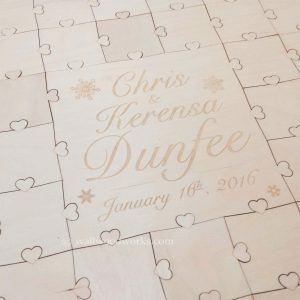 Stamping – By default we will be stamping every engraved anniversary guest book puzzle piece for ease of set up. 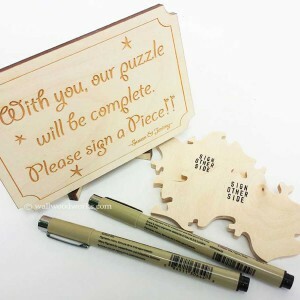 This is so guests know which side to sign and when the puzzle gets framed it is in the correct orientation. 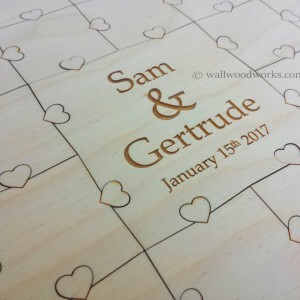 If you wish to have no stamping, please enter NO STAMPING in the “Order Notes” box at checkout.